A few years ago I was given a case of alcohol-free beer for my birthday, presumably by accident as any honest beer drinker will tell that you don’t actually drink beer for its taste, but for its alcoholic effects. Without wishing to sound ungrateful, it was fair to say this gift would normally be about as useful to me as a chocolate teapot, but I resolved that I would find some purpose for it and decided to use this gift to conduct my own scientific experiment. I invited a few friends [or subjects in this case] over and plied one of them with the alcohol-free beer and the rest with standard alcoholic-beer. I didn’t tell my friends of my plan to use them as guinea pigs, obviously, as this might have affected the results, and being a very serious experiment, I wanted to keep the test fair. As my test subject worked his way through the case of alcohol-free beer, he started to show some of the typical signs of alcohol consumption; slurred speech, drowsiness, obnoxious behaviour [more so than usual], even suffering the dreaded hangover the following morning. The point of this, I’ll admit, rather basic experiment, wasn’t just to humiliate my friend, although that was a bonus secondary outcome, but to demonstrate one of the most amazing and bizarre known phenomena in medical research called the placebo effect. Most of us have heard of the placebo effect, namely that something with no therapeutic result, an imitation pill or sugar tablet, can actually make you feel better just by believing something will happen. Knowledge of this effect has been around for many years and history is littered with documented examples, particularly in the area of pain. Some of the most famous cases first recorded of this curious phenomena were on the battlefield during WW2. An American anaesthetist, Henry Beecher, reported performing difficult surgeries on soldiers using salt water injections when morphine supplies had run out. Beecham miraculously found the soldiers to be relatively pain-free when they were led to believe they were receiving the strong painkiller morphine but instead, were given an injection of just salty water. It’s not just in pain management though that the placebo effect is recognised. In recent years evidence has built up to suggest placebos to be highly effective in many others conditions including; anxiety, depression, insomnia, even the management of Parkinson’s disease. The placebo effect in these conditions is not just imaginary or ‘‘all in the mind’’. There appears to be some real chemical changes taking place in the brain caused by taking a placebo. Taking a placebo painkiller, for example, causes the release of pain-relieving endorphins in the brain. Endorphins are the body’s natural pain killers and placebos help trigger the release of these chemicals that our brains produce themselves. Interestingly, results from studies also prove that not only is the placebo effect very real, but contrary to popular belief, it affects almost everyone and not just the unsuspecting. The placebo effect has even been shown to work in patients who have been told beforehand that they are going to receive a placebo. When you think of placebos many people tend to picture a ‘sugar tablet’ but they can actually come in many different forms such as creams, injections, even placebo surgeries. It’s when you start comparing the effects of different placebos to one another that you find some really peculiar results. We know for example that two placebo tablets [remember tablets containing no drug] work better than one placebo tablet. Placebo capsules are more effective than placebo tablets, presumably because they appear to be more scientific looking to patients. Placebo injections trump placebo pills and placebo surgeries, yes, even fake surgeries, work better than injections. In fact it appears to be that the more elaborate the placebo is, the better it works. The placebo effect is so powerful that it can present a challenge for drug companies when trying to introduce any new medicine to market. For a pharmaceutical company to prove that their new drug works, it must at least outperform placebo treatments in clinical trials to show that it is effective. While this can be a hindrance to big pharmaceutical companies, the placebo effect can also be used to their advantage. Marketing and advertising of medicines is really important for drug companies, as evident by the countless drug commercials on TV. This marketing can be surprisingly effective in helping to shape patients’ beliefs and expectations as to how well the drug will work. When people develop a conviction to a particular brand of medicine, say from advertising, they may experience a greater effect from taking that brand than from taking exactly the same medicine as an unbranded or different brand medicine. The placebo effect can also help drug companies decide on what colour to manufacture their medicines. 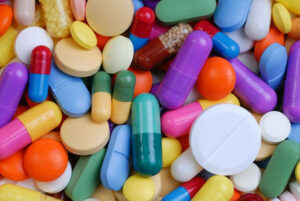 Anti-depressants medications, for example, are often bright colours like pinks or yellows. Stimulant medications work better as energising colours like orange or red and tranquilisers work better in cooler colours like blues and greens. Obviously colours have no pharmacological effect, but they do have cultural meanings which again can affect the beliefs and in turn the outcomes a patient has when taking them. Placebos do have their limitations. They won’t heal a broken bone or cure cancer and there is concern about the ethics that much of the effect is based on the deception of patients. Placebos shouldn’t replace real drugs but their effects could be used to enhance the results of medical treatments. Without question, there is still so much more to learn about this exciting area of medicine and how it can be utilised to improve healthcare, without misleading patients. One thing is certain, that is, for any placebo to work, it must contain the critical ingredient of expectation. As with any medication taken, the beliefs and expectations we place on it, will affect how well it actually works. This, together with other influences such as advertising, the colour of the medicine, previous experience of using the drug, all affect the body’s response to it. The body has the potential to heal itself and placebos simply act as catalysts, helping our brain tap into its own internal pharmacy. Our minds make the medicine, and that……. is pretty amazing! – John Bentley, MPharm, DipClinPharm, MRPharmS, is a Member of the Royal Pharmaceutical Society of Great Britain and a pharmacist working at People’s Pharmacy.